Membee’s Event’s widget now offers a responsive design! What is a responsive design? Where can you get one? Membee can help! Learn more on this week’s Latest Buzz blog post! Membee’s Events widget now has a responsive design, meaning that Event purchasers can now easily register for your events from their smartphone. This is the future, and here’s why. Responsive design means that your website/features works on your pc, tablet and mobile device by adjusting the content to fit the screen that it is being viewed in. Wonder no more if mobile marketing is important because we now know that it is! According to wired.com, in less than two years, a smartphone could be your member's only computer. The gist of the wired.com article is that advances in technology both now and in the future are positioning smartphones as the "go to" device for consumers. Existing device sales data bears this out with smartphone and tablet sales soaring, desktop and laptop sales flatlining. 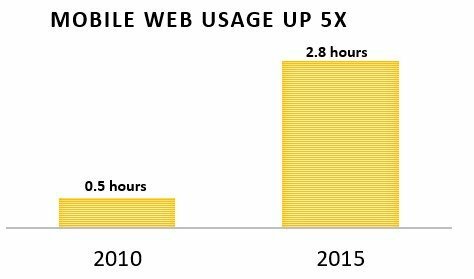 In 2010 adult’s used the internet on their mobile devices on average 0.5 hours a day, in 2015 that number reached up to 2.8 hours a day, this is highlighted in the graph below. People are using their devices for internet browsing, shopping, working, and in 2015, 49.5% of emails were opened on a mobile device. Mobile devices are easier on the go, so if you want to maximize your reach to your members and potential event attendees, having a responsive design is vital. If your website has not or is not shifting over to a responsive design, you’re losing out on many new members and potential event sales! With the amount of time people spend on their devices, 85% say a mobile website should be better than the desktop site. This is saying a lot considering many organizations are falling behind the trend and have yet to implement a responsive design. 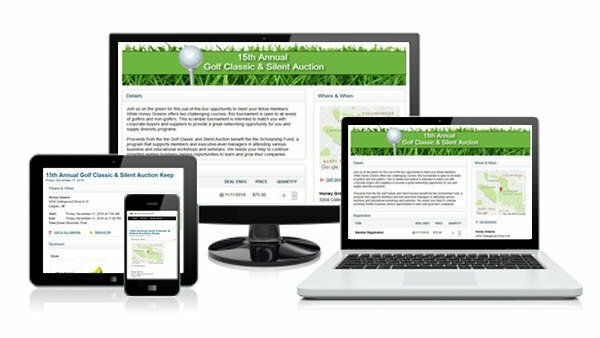 Make your members and event attendees happy with a great mobile site! 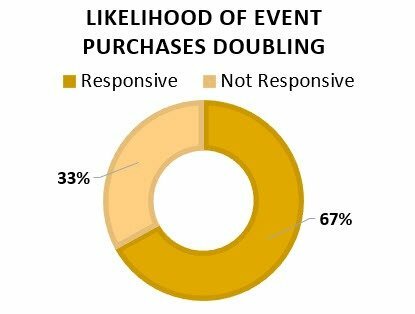 According to the Huffington Post, if a website has a responsive design that is easy to navigate, 67% of people are more likely to make a purchase, this is highlighted in the chart above. These numbers are incredibly important if your organization relies on membership sales, and event sales. Don’ t miss out because your website isn’t evolving the way your organization is! With the Membee’s Event’s widget now being responsive, and your website now too, any visitor that is accessing your Event can use their PC, tablet or smartphone to do so. This makes it substantially easier for your event attendees to book an event ticket, enter information, and check out their Event Itinerary! In short, Membee’s Event’s widget now simply adjust to the size of the screen the visitor is using. The great thing about responsive design is that you maintain everything in one spot – you don’t need to develop or maintain a mobile site or app. Having a single website that works everywhere offers significant savings over creating multiple native mobile apps and provides your visitor with a great experience. Membee’s Directory is already responsive! Click the link below to learn more!